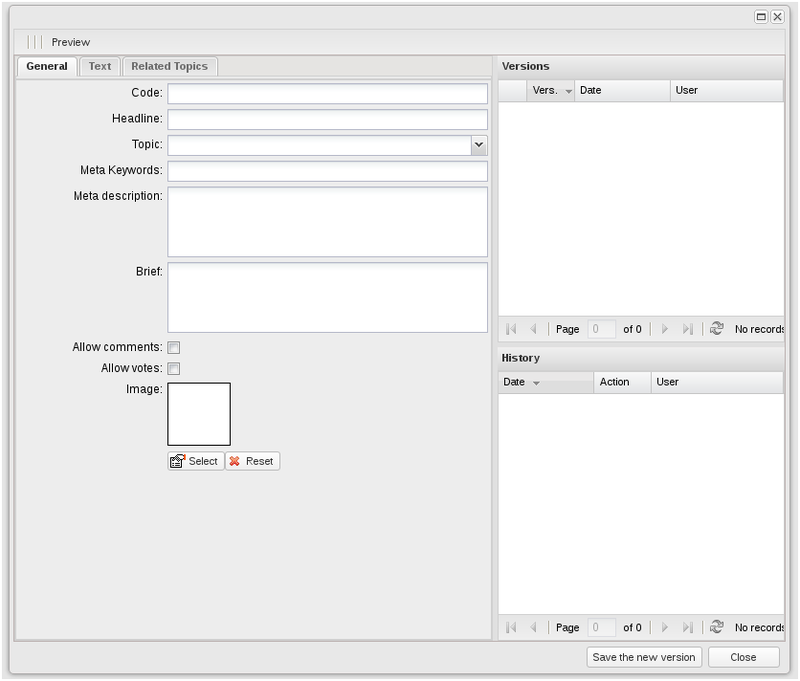 The component is a template window for working with Backend_Controller_Crud_Vc, i.e. an interface for editing a versioned object. To proceed, it is necessary to define a number of fields for editing, which is commonly done through Layout Designer, however, it may be done manually as well by sending the property to the constructor. hasPreview boolean - there is a preview page. Besides, the window can process the app.relatedGridPanel data if the component is rendered in the ‘items’ property (is used for editing the one-to-many relation).